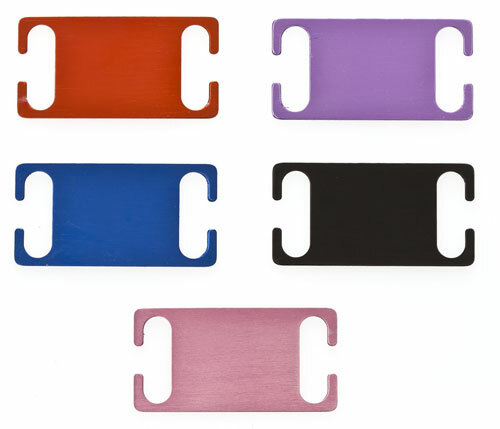 These slide on collar tags fit all types of flat dog collar, snap fastening and also buckle fastening. Flat collar id tags Ideal for working and agility dogs. Suitable for flat collars 17 mm wide. Dimensions: 43mm long x 22mm wide and available in 5 colours. Text will ALWAYS be engraved in CAPITALS and CENTERED on tags.